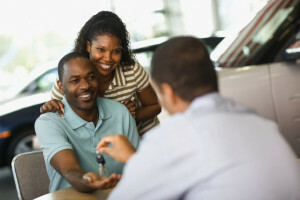 How do you make sure you’re getting a great deal on car insurance? Easy, just get a quote and make sure the price is competitive. Right? Actually, it’s not that simple. You don’t just want to pay a fair price in the first month of your policy; you want to get a great deal for as long as you insure your car. Think about it: every month your car loses value. With every minute that passes and every kilometre that you drive, your vehicle is worth less and less. Now, it obviously wouldn’t be fair to pay the same price to insure a Ferrari 458 and a Hyundai i30. So how is it fair to pay the same premium to insure your brand new car and then to insure that car when it is six months old, with thousands of kilometres on the clock? Insurers will generally allow for a review of your premium, and you might be able to lower your premium as the years pass. But this is completely at the insurance company’s discretion. So they could refuse to lower your premium if the industry is not performing well, or inflation is high, or they decide your car depreciates at a slower rate than usual – or however it is that they make those decisions. Get me a fair deal! Gideon Galloway, CEO of King Price, believes there’s a fairer way. His solution is elegant and simple: with King Price, your car insurance premium decreases each month. That’s obviously a great deal for clients, but how does that make business sense? “If you treat your clients fair, you will keep them longer than your competitors and be able to decrease your premiums every month,” Galloway explained to financial journal Moneyweb. In other words, the business model seems to be that if consumers are always paying the lowest price for car insurance, there is no incentive for them to change insurers. And when we think about it, the only really surprising thing about Galloway’s statement is how surprised we are when a business commits to treating its customers fairly.